A Yorkshire manufacturer is to star in a national television show this spring as it documents the work of some of the region’s most prominent food factories. 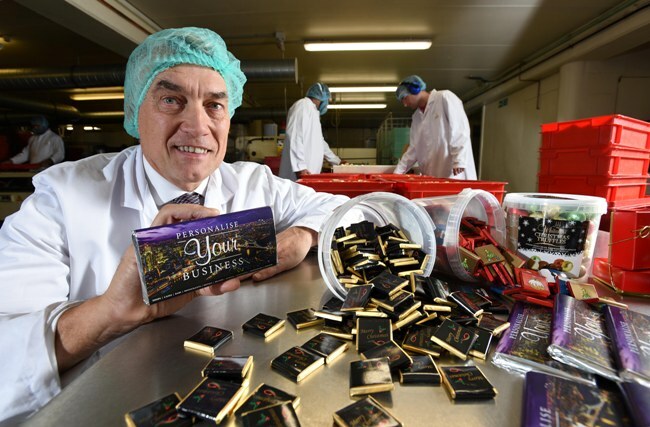 Whitakers Chocolates, based in Skipton, is one of four businesses featured in ‘Made in Yorkshire’ which will be screened on April 10 on Channel 5 and is presented by former deputy prime minister and honorary Yorkshireman, John Prescott. ‘Made in Yorkshire’ explores behind the scenes of some of Yorkshire’s best known food brands and sees John Prescott experience life on the factory floor of the historic chocolate maker to understand how they grew from a village grocer’s shop to a multi-million pound company with customers in 25 countries around the world. Managing director William Whitaker said: “We had a great time hosting Channel 5 and Mr Prescott at Whitakers Chocolates. This is an exciting time for us so to be able to share it with the rest of the nation, and someone as passionate about the county as the former deputy prime minister, is a real honour. The two-part series ‘Made in Yorkshire’ was produced by Crackit Productions which is also behind ‘Stop Search Seize’ and ‘The Secret Life of the Hospital Bed’.